Cook bacon in a skillet over medium-high heat. Remove bacon and drain on paper towels. Toss bacon pieces, green onion, and remaining Cheddar together, then add to the pie crust. 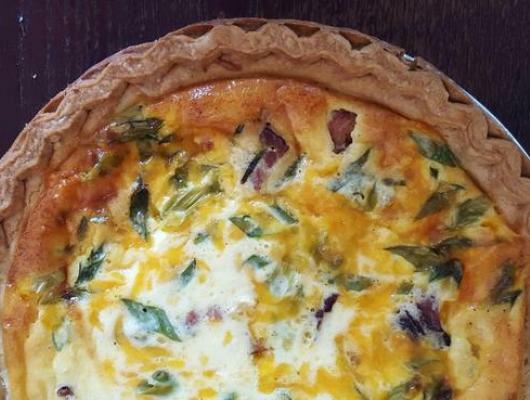 Quiche is such an easy dish to make and is so perfect for brunch or even and easy dinner alongside a green salad. Since store-bought pie crusts come in twos it's easy to whip up two quiches. Just double the custard ingredients. 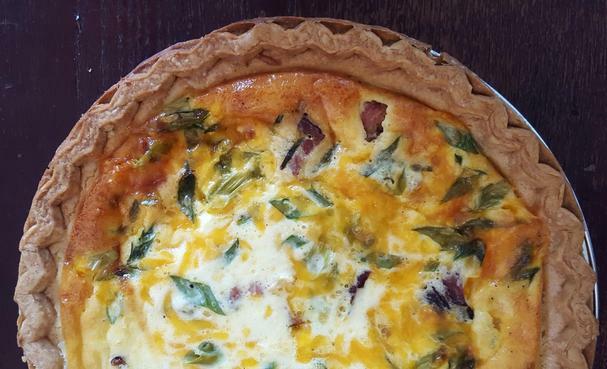 For this recipe, I used bacon ends (thick chunks of bacon) then cut it into smaller bits; this gave the quiche a nice hearty component, but you could just use rashers of bacon cut into bits. It’s entirely your preference.